“The Art of Peace begins with you. Work on yourself and your appointed task in the Art of Peace. Everyone has a spirit that can be refined, a body that can be trained in some manner, a suitable path to follow. You are here for no other purpose than to realize your inner divinity and manifest your inner enlightenment. Foster peace in your own life and then apply the Art to all that you encounter. 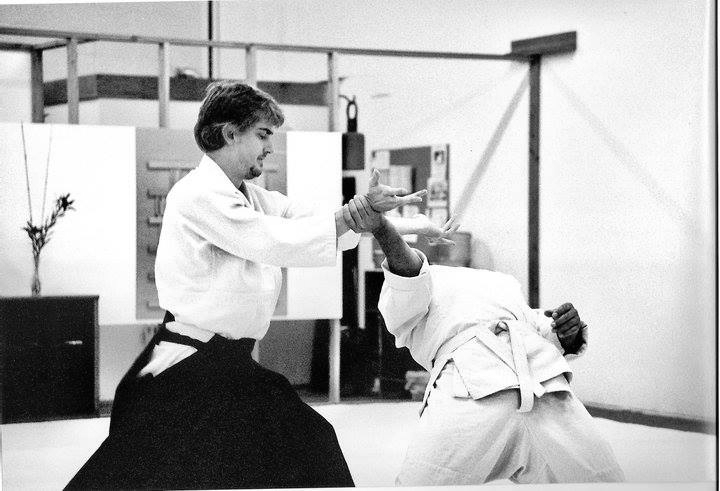 A committed training period is three months during which the student makes the study of aikido a priority. To participate in this program the student must be able to clear other life commitments, thereby allowing regular attendance at classes and the focus necessary to push themselves both physically and spiritually. In addition to attending classes, the student will be expected to develop a selflessness exemplified by helping in any way with the daily care and maintenance of the dojo, the hosting of events, and the support of other dojo members as well as the chief instructor. Training is not limited to scheduled classes, but is ongoing at every moment of every day. The committed training period is an opportunity for self-development. There will be no reward at the end of the program. Two levels of commitment are offered. Submit a written request for acceptance including a statement of ability to fulfill the commitment at either Level I or Level II. Complete an interview with the chief instructor. Requests for acceptance must be submitted by February 15th for the first period and by August 15th for the second period. Please note that basic courtesies such as paying dues on time, arriving to class on time and honest communication are expected. An inquiring spirit and a firm desire to learn are required. Level I | Open to students from the rank of 5th kyu to 2nd kyu. Must attend classes at least four days per week. Must attend the basic weapons class and one zazen session per week. Total hours of class time in aikido must be at least 25 hours per month. Must attend all Birankai Affiliated seminars held in Oregon unless excused in advance. Level II | Open to all students with the rank of 3rd kyu or higher. Must attend classes at least five days per week. Must attend advanced weapons class, one zazen session and two iaido classes per week. Total hours of class time in aikido must be at least 30 hours per month. The student will keep a record or journal of their own design of their practice and experiences. This record will be considered personal and need not be shown to anyone. The student will submit a written report within two weeks after the completion of the three month period. This report will be on a subject of the student's choice relating to their experience and practice during the training period.